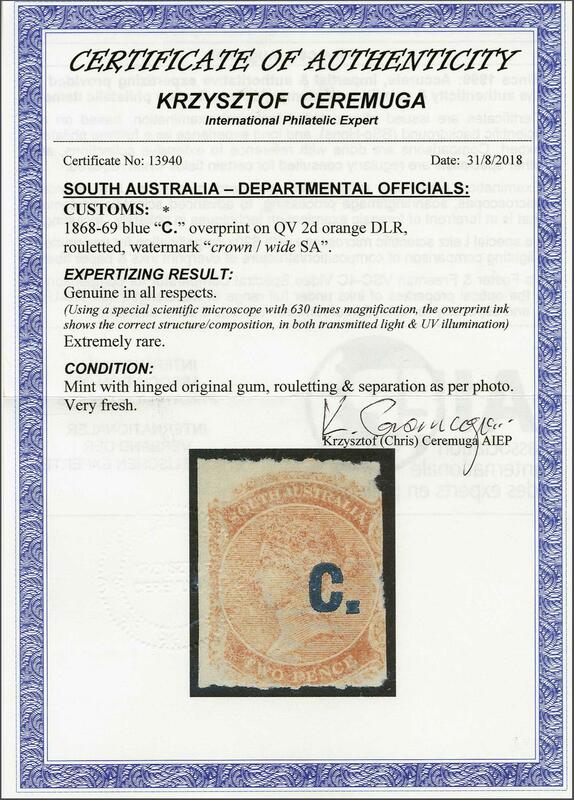 Customs 1868/69: Overprinted "C." in blue, on 2 d. pale orange DLR, wmk. 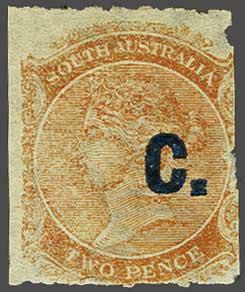 Crown over wide SA, rouletted, an unused example in a delicate shade, fresh and fine, large part og. Butler 3R. Cert. Ceremuga (2018).